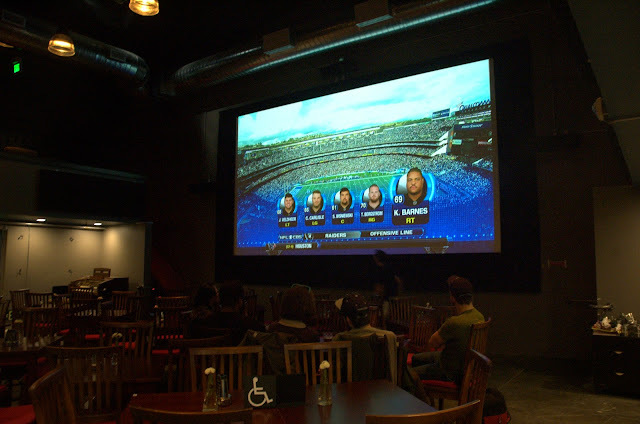 Our Oakland: watch the Super Bowl at The New Parkway, with Marshawn bigger than life! 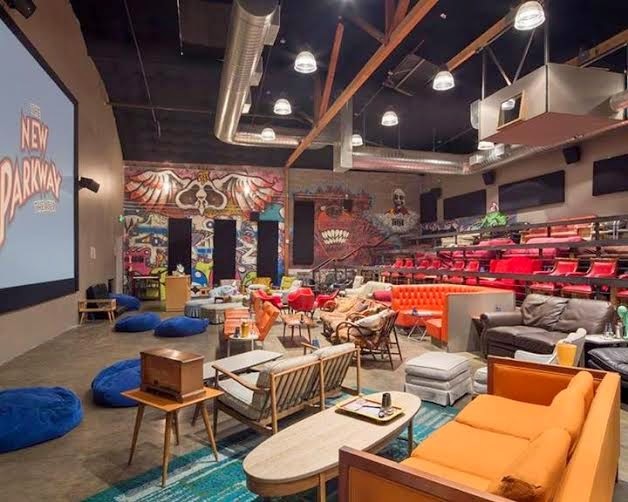 watch the Super Bowl at The New Parkway, with Marshawn bigger than life! The Super Bowl may not be on your radar anymore since neither the Raiders nor the San Francisco Santa Clara 49ers are in it this year, but it promises to be a great game. If you're looking for a spot to watch it, consider The New Parkway. It's not just a great place to watch movies, they also show special events like the Super Bowl and soccer's World Cup, as well. I've watched the Raiders play there, and it's pretty amazing. There's great beer and food available, and they'll deliver it right to your seat. Marshawn Lynch is an Oakland-grown celebrity who hasn't forgotten his Oakland roots. He regularly returns to Oakland, and his Fam 1st Foundation works in Oakland mentoring kids on the importance of education, literacy and self-esteem. He's an Oakland Tech grad who is larger than life, so not watch him larger than life? He may not speak to the media, but his actions speak plenty loud. If the Super Bowl isn't your thing, The New Parkway is also doing a special movie showing Valentine's Day on February 14, and showing the Academy Awards on February 22. There are different charges for different events, but it's a great spot to watch all sorts of things.